Oh, he picked Stanford. Bummer. 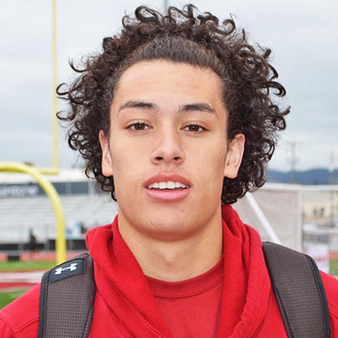 Fehoko prepped at Brighton High School, where as a sophomore he had 18 receptions for 457 yards and a touchdown, as well as 25 tackles and six interceptions. 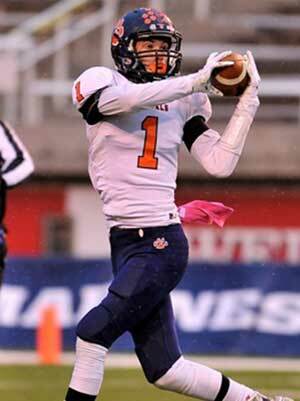 As a junior he had 65 receptions for 1644 yards and 24 touchdowns. He also had 26 tackles and four interceptions on defense and returned a few punts on special teams. He was named to the Region 3 first-team and the 5A all-state first-team. Fehoko was rated 4-stars by Rivals, Scout, and ESPN (grade of 80). Rivals and ESPN both list him as the No. 2 prospect in the Utah Class of 2016 (behind Murray DE Maxs Tupai), while Scout list him as the No. 9 receiver in the west. Fehoko held scholarship offers from ASU, BYU, Clemson, Colorado, Michigan, Nebraska, Oregon State, Stanford, Utah, USU, Washington, and WSU. He was also recruited by Cal, Oregon, and USC. Fehoko committed to the Cougars on July 19, 2015. Last Team: Brighton HT/WT: 6’4”, 186 lbs. Profiles: MaxPreps, HUDL, DesNews Bench & Squat: 235, 325 lbs.